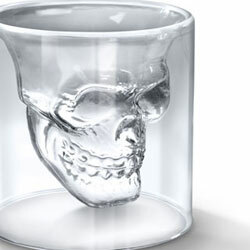 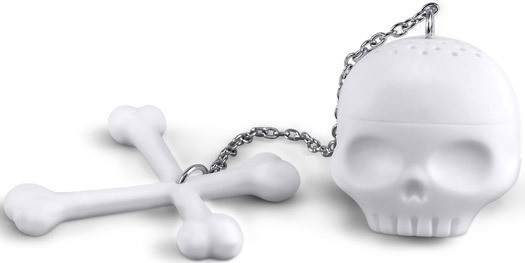 This tea infuser will give you the creeps while it steeps! 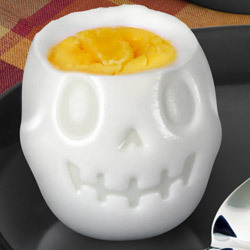 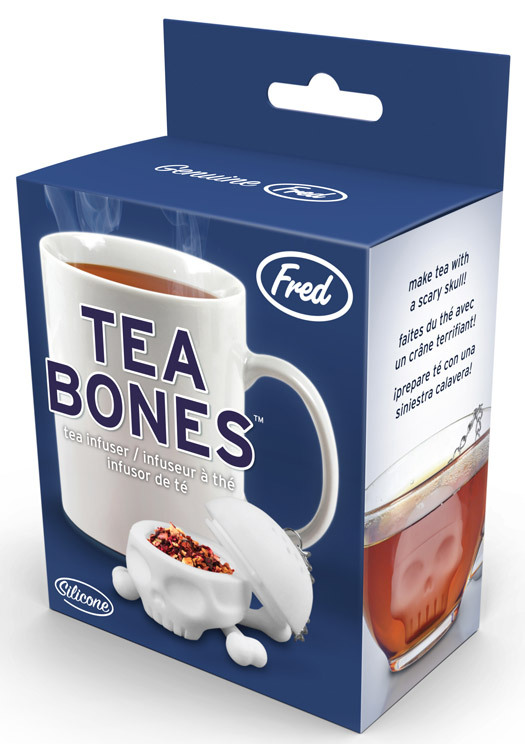 Fred and friends tea bones is a spooky skull shaped tea infuser that brews you up a nice cup of tea. 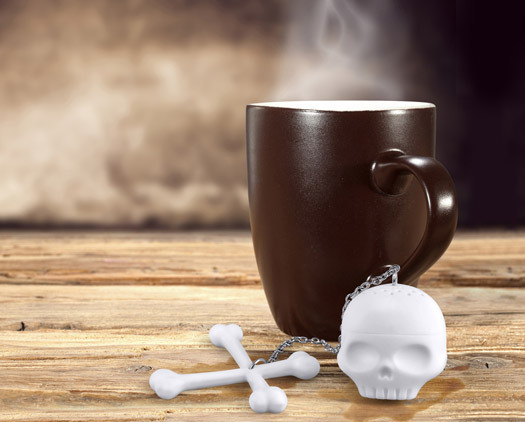 After you're done brewing, rest the skull on the handy crossbones. 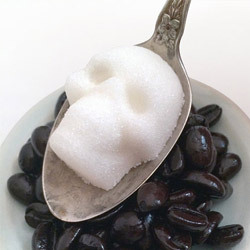 Ahhh, there' s nothing like a nice, hot cup of macabre. 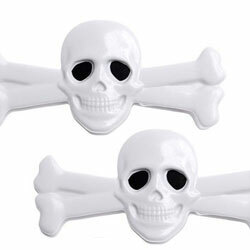 Sugar Cube Skulls "the original"